During the week, I work hard at keeping the chipmunks in check. 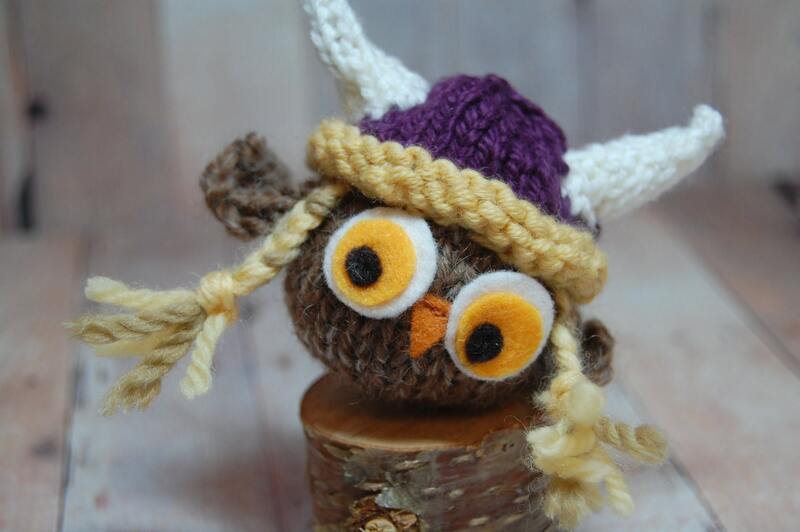 But when the weekend hits, even owls need some Viking time. 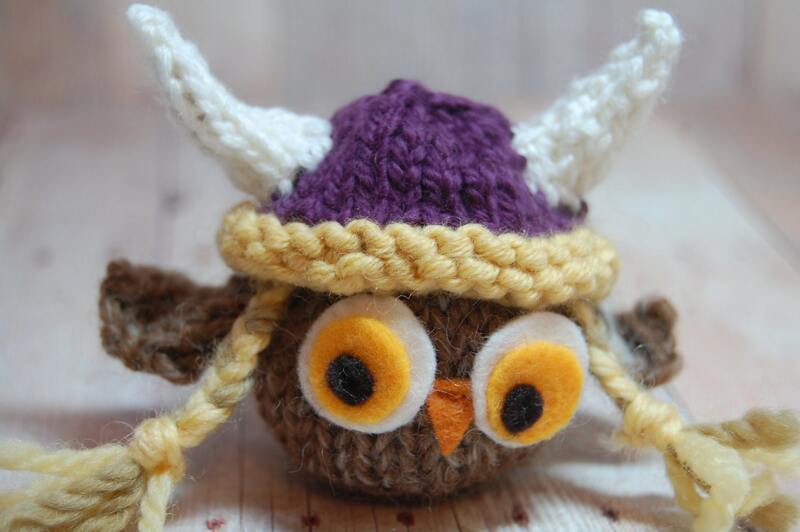 Baby Owl with Viking Hat is a fun companion for both young ones and the young-at-heart. 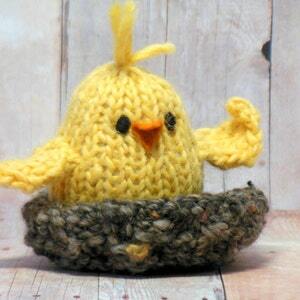 Hand-knit with luxuriously soft, high-quality alpaca wool, it is a lovely snuggly thing. 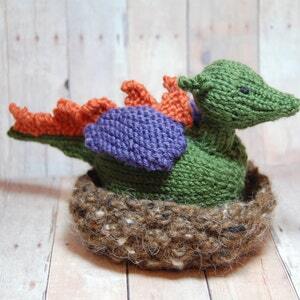 It’s a small creature that will melt any heart and make a perfect gift – as long as you don’t underestimate it. 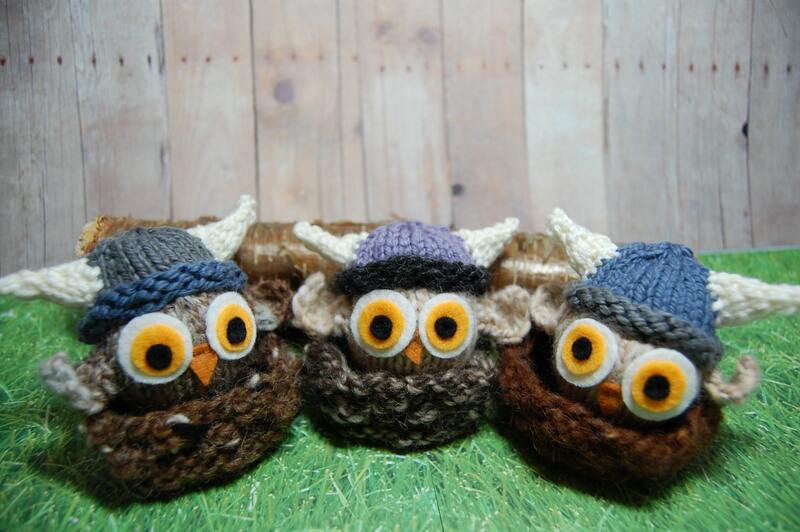 The owl is made with natural and eco-friendly fibers; its hat is knit with cotton and merino wool. If you would like an ornament loop attached, please let me know. 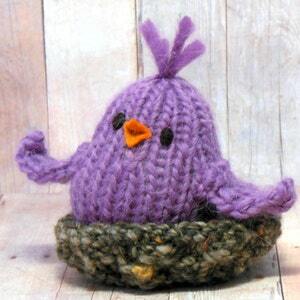 Also, little wool nests are available for this little guy for an additional charge. Please contact me with your requests. 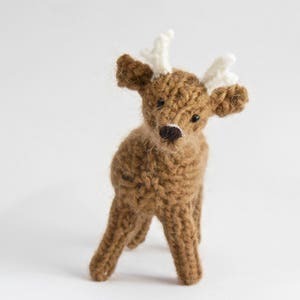 This little creature will spread cheer where ever it goes…a perfect unique gift item, cubicle companion, playmate, room decoration, ornament …. 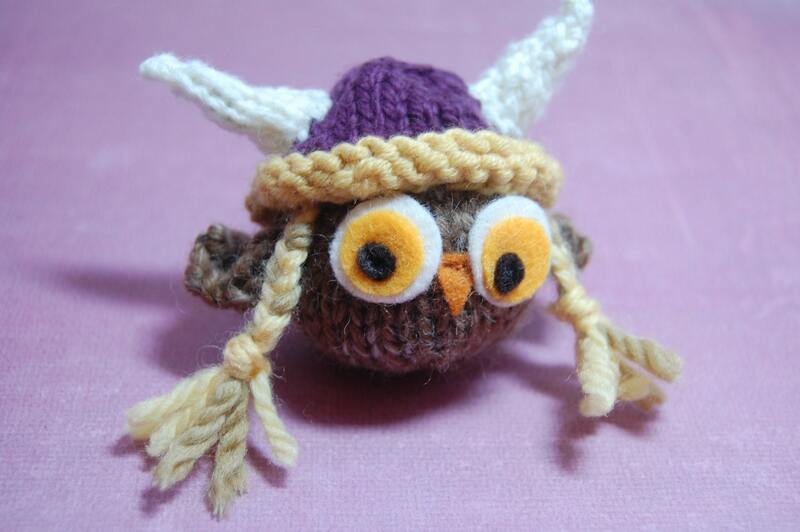 *Please Note: You will not receive this exact owl as it has already escaped (rampaging and pillaging, I guess). You will, however, receive one that looks pretty darn close (same fiber, dimensions, colors). Expressions are always unique, though. Very pleased with purchase. Thank you! Absolutely adorable!!! 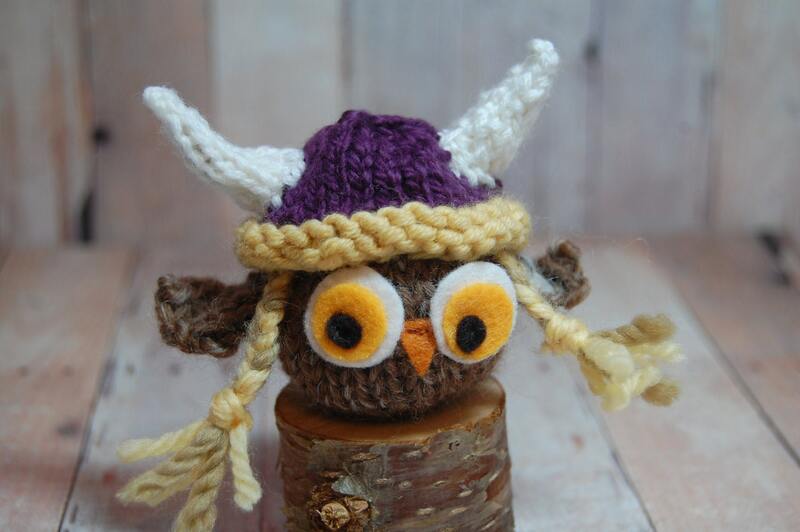 I just love this, it is definitely the perfect gift for my aunt, who loves the MN Vikings! I wanted to keep it for myself, to be honest. ;) Lovingly packaged and nice fast shipping. Thank you!! Absolutely charming! And it arrived in a timely fashion and well packaged. Thank you. I will be back! This was purchased as a gift, and not only did the recipient love it, but the seller was so gracious and helpful!